Boost the brain through eyes and ears – especially in old age! Getting older should not stop our clients from keeping an open mind, following their curiosity, relating to loved ones and communicating with next generations – thus, preserving their cognitive integrity. Good hearing is key for all of that! Researchers have started to think of auditory perception as being an interaction of peripheral hearing, central processing and higher cognitive abilities. It is confirmed that listening is an impressively complex process. Bear in mind that speech is running at approximately 2-3 words per second! In that short time, sounds have to be recognized as speech and generated into a linguistic representation in the brain to be understood as a spoken utterance. 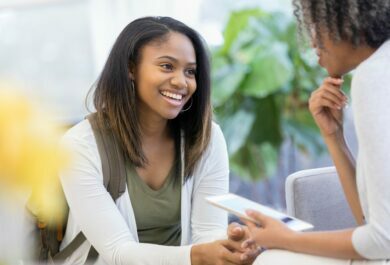 Cognitive abilities — such as attention, language, social knowledge, memory — are all needed to comprehend speech, especially in complex listening conditions. It is important to recognize that sensory perception and cognitive capabilities interact with each other in both directions. While cognition supports for instance speech comprehension, the sensory input through eyes and ears itself stimulates cognition. The received information provides the basis to relate and connect to the world around us and facilitates our thinking and contemplation. Especially in old age, when hearing ability might be compromised, listening can be very demanding and tiring as cognitive factors such as attention and memory have to be recruited to compensate for the compromised sensory input. As speech perception gets more difficult with age, this frequently comes along with increased cognitive load, avoidance of noisy environments, social isolation and cognitive decline. Age itself does not tell about the individual needs related to hearing, nor does a single cognitive ability. Still, there are typical changes that can be observed in a healthy-aging brain indicating a general loss of brain mass, reduced connectivity of neurons, reduced concentrations of certain neurotransmitters and reduced blood flow in the brain. Also, these are associated with typical cognitive changes in healthy aging. Hearing care professionals need to recognize that the ability to listen and comprehend may change with age and this cannot be captured by traditional audiometric assessments. For example, your uncle may understand you well when you visit in his quiet home, but if he has reduced attention, he may lose the ability to focus attention on different talkers at a family gathering. Simply put, his cognitive difficulties impact his ability to listen to speech in a crowded room, even though he had a normal audiogram at his last appointment. Take specific considerations for the assessment and intervention in clients with cognitive loss (publication in Seminars in Hearing: Helping Older People with Cognitive Decline Communicate: Hearing Aids as Part of a Broader Rehabilitation Approach). With support from Sonova, a study by the University of Zurich has managed to measure and visually map the consequences of age-related hearing loss in the brain. Here is an article, Hearing gets more tiring for the brain as we age which includes this short video explaining the study. No comments on “Boost the brain through eyes and ears – especially in old age!”, yet. 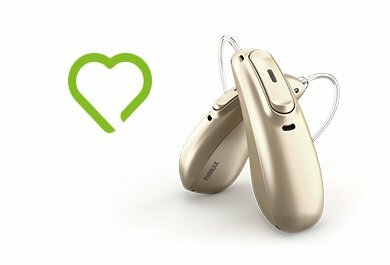 Ulrike is a senior researcher at Phonak’s headquarters in Switzerland since 2006. She heads the research program ‘Cognitive & Ecological Audiology’ and conducts research in the fields of cognitive hearing science and gerontology. Besides working for Phonak, she sees senior clients as a neuropsychologist at a memory clinic in Zürich. 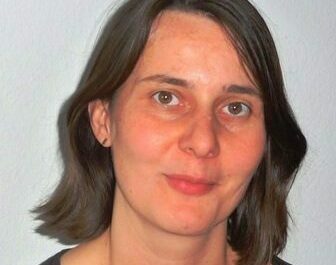 Ulrike holds a PhD in psychology and is licensed as a psychotherapist for cognitive-behavioral therapy.